Filed to: Tell Em!Filed to: Tell Em! Our favorite woman from the Bronx is doing what she does: calling rich people out. Rep. Alexandria Ocasio-Cortez (D-NY) and Rep. Chellie Pingree (D-Maine) sent a letter to Microsoft, Google, and Facebook executives dated Friday questioning whether these three tech giants are actually down to stop climate change. If they were, why did they recently sponsor a conference that included a session promoting climate change denial? LibertyCon, a student-led conference that invites students and non-students alike to learn about libertarianism, took place in Washington, D.C., earlier this month. Only two sessions were about climate change, according to this agenda, but the representatives took issue with one, in particular. The speaker, Caleb Rossiter, is a member of the CO2 Coalition, a nonprofit that advocates for more carbon dioxide in the atmosphere. The organization is all about questioning climate change, which science has shown time and time again is an increasingly urgent problem. Facebook simply pointed us to its event sponsorship policies and commitment to fighting climate change. Spokesperson Andy Stone was sure to share the conference’s agenda with Earther to note that another panel on carbon taxes was also featured, but did not address the concerns raised by the Congresswomen in their letter. The conference also included a panel with speakers from the Heartland Institute, which also fuels the climate denial machine. In all fairness, other topics include civil rights and criminal justice reform, but none of that detracts from the conference’s attempt to validate climate denial. These tech companies purport to take climate change seriously—especially on the clean energy front. (Google, unfortunately, still has a lot to learn about managing the spread of climate misinformation.) These companies know climate change also creates a business opportunity, but they’re not bad enough to knowingly support climate deniers, right? 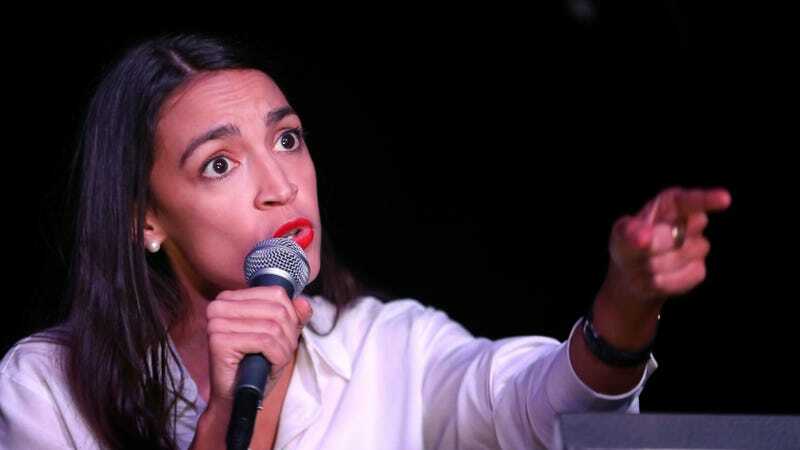 At least we can count on Ocasio-Cortez to hold them accountable when that looks like what they’re doing.